Tanzanian rescue workers have resumed search for survivors feared drowned after a passenger ferry capsized in the south of Lake Victoria killing at least 79 people. Twenty-seven bodies were recovered on Friday morning when the rescue operation resumed at the crack of dawn, Mwanza’s regional commissioner John Mongella told Al Jazeera. Thirty-seven people were rescued after the MV Nyerere sank on Thursday near Ukara island in Africa’s largest lake. However, hopes were fading for more people to be pulled out of the water alive. “People are aware that the hopes of finding survivors are almost nil,” state television reported broadcasting footage of onlookers. The boat had a capacity of 100 but it is still unknown how many people were on board. Reuters news agency reported it was difficult to establish a number because the person dispensing tickets drowned in the incident. George Nyamaha, head of Ukerewe district council, said “more than a 100 passengers” were on board when the ferry sank. Local media reported numbers as high as 400 to 500. Al Jazeera’s Catherine Soi, reporting from Nairobi in neighbouring Kenya, said the boat was also carrying cargo when it went down. “What we also know from witnesses that the ferry appeared to be overloaded. It has a capacity of 100 people,” she said. “We’re told that this was a market day, so many people were travelling from one island to another. Accidents like these are not uncommon on Lake Victoria and overloading is often to blame. 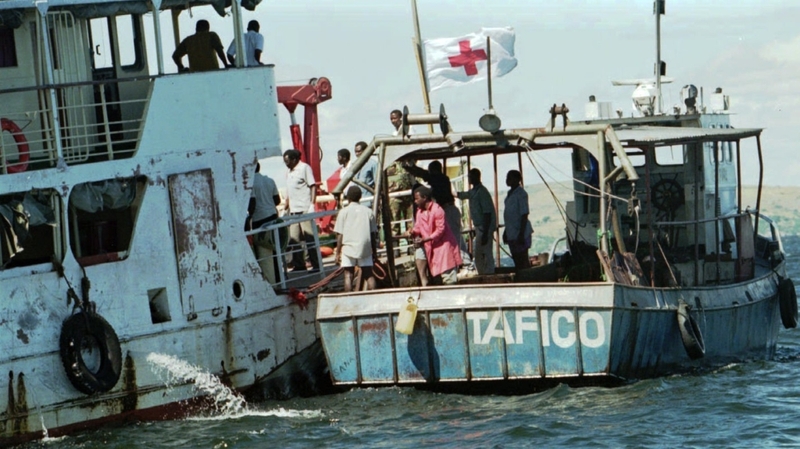 In 1996, a ferry disaster on Lake Victoria in the same region killed more than 500 people. In 2012, 145 people died in a ferry disaster in Tanzania’s semi-autonomous archipelago of Zanzibar, in the Indian Ocean, on a vessel that was overcrowded.